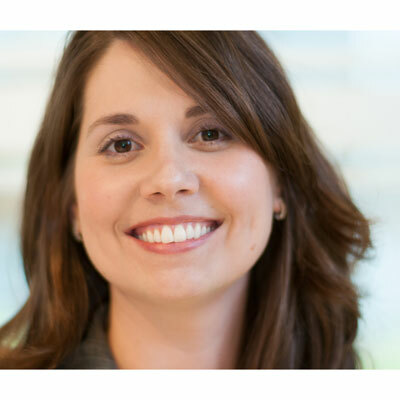 Liz Fuller is the Senior Director of Global Alliance & System Integrator Marketing at Citrix. She is responsible for driving global joint marketing strategy and generating strong pipeline results with key Strategic Alliances, including top-tier technology alliances (including Microsoft, Cisco, Google, Nutanix, Intel, etc.) and Global System Integrators (IBM, Fujitsu, DXC, Dimension Data, Capgemini, Atos, etc.). In addition, Liz launched and leads the Citrix Ready Program, which is a best-of-breed partner program focused on supporting channel and customer choice in identifying third-party solutions for Citrix environments. As a top-performing, results-driven marketing leader with over 20 years of experience, she has an established track record for driving successful engagements with corporate organizations and is a proven creative and strategic thought leader that translates industry and customer insights into integrated business strategies to drive profitable sales, increased market share and brand equity through our joint partner ecosystem. When not working, she enjoys spending time with her husband and two young sons and participating in local "give back" activities. In short, my team and I increased our focus on channel with our joint alliances in 2017. From a Strategic Alliances standpoint, we placed emphasis on our driving our joint marketing and engagement strategy with our key alliances to feature our channel strongly in our joint go-to-market (GTM) plans. In 2017, we delivered several channel-first and channel-specific marketing programs, which included research and pilot programs with the lens to design both demand and enablement components. Under my leadership, Citrix was recognized by ESG with their ESG Channel Acceleration Alliances award which reflected our renewed alliance strategy and shift toward more focus on GTM efforts and bringing the channel closer to our alliance strategies. In addition, through the Global SI partnership, my team established new best practices around sales enablement, customer engagement, and Account-Based Marketing (ABM) which drove $40M+ in net-new customer engagements in its' first year. Building upon this success, I am also developing a new marketing practice for Strategic Citrix Service Providers (CSP) and Managed Service Providers (MSP) engagements. My goals for this year are to continue to build upon the success we attained in 2017, expanding upon our ABM engagements with Global System Integrators, and formalizing our practice and operationalizing partnerships with CSPs and MSPs. In addition, through our strategic alliances, we are placing more emphasis on through-channel programs and establishing joint distribution engagements with key alliances. The sum of these efforts will provide our channel and distribution more complete solutions to take to market and investment to support marketing and sales enablement. I admire Jennifer Lawrence. While she is a terrific actress, what I admire about her is her sense of self and voice. She has always been vocal when a voice is needed, has succeeded in a male-dominated environment and has even leveraged her power and achievements to support and uplift other women in her industry. That is a hallmark of leadership that I strive to offer other women in my industry, in my company and on my team. A new skill I would like to master is mentorship. I have been fortunate in my career to have strong supporters and advocates, but never received formal mentorship myself. I am currently mentoring three women within my organization and want to make sure I'm providing support in a way that is balanced between listening and guidance. I want to share my career experiences in a way that translates to these women personally to help them advance in their career and offers them the confidence to navigate the corporate ladder and the challenging rungs along their way. At this time, I'm focused on introducing my boys to literature. My favorite book to share with them is Winnie the Pooh, because Pooh makes mistakes, learns from them, isn't afraid to go on a new adventure, and never goes it alone.